Rosy Moon Creations takes forgotten pieces of furniture and home ware and gives them a new lease of life using Annie Sloan chalk paint and wax. We use only Annie Sloan paint on our products as it is non toxic and therefore is safe for children. 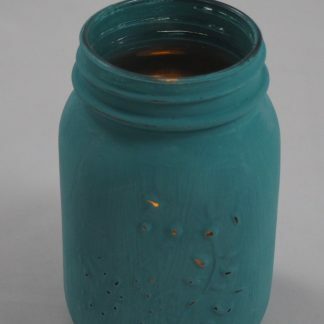 The hand poured candles are made exclusively from soy wax and all of the candle containers can be reused. All of Rosy Moon Creations' lanterns come with battery operated candles or string lights and the felted characters are lovingly hand crafted. Products from Rosy Moon are all individual and unique; once they're gone, they're gone so get them while you can! If you have any questions about Rosy Moon Creations products please don't hesitate to get in touch, we'd love to hear from you! Handtied Fabric Wreath in Denim & Tartan.